Christmas is a time filled with laughter fun and family, with quiz playing bringing everyone together through entertainment. 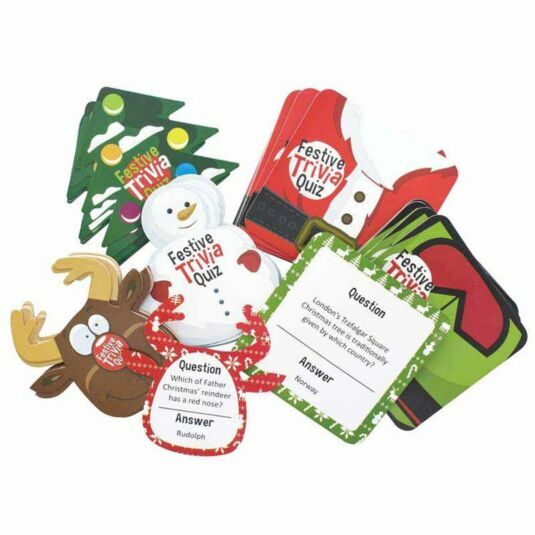 This Festive Trivia Quiz Games is the perfect family fun activity for everyone to enjoy! Containing over 50 festive themed quiz cards for the whole family to enjoy, this card based pack needs no more than participants and Christmas knowledge! Split into different festive categories by either Christmas tree, Snowman or Reindeer shaped card, adults and children alike will create hours’ worth of laughter-filled entertainment and with a detailed list of instructions for each category, and players of all ages can join in! 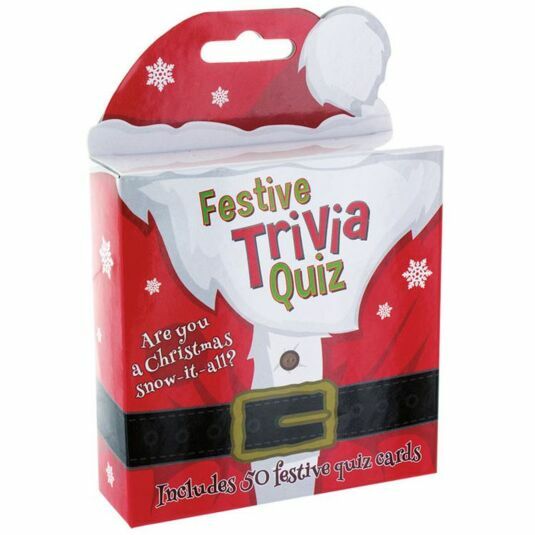 Create some laughter-filled memories this Christmas time whilst bring the whole family and your friends together with this Festive Trivia Quiz Game, the perfect gift or stocking filler for absolutely anyone that enjoys getting into the spirit of Christmas!